The book details the journey of self-discovery of a man named Siddhartha during the time of the Buddha. Siddhartha seeks different experiences in life, and learns more about himself and the world as he does so. I read Siddhartha in high school, and it’s one of my favourite books. The universal theme is relevant for all, and I discover something new each time I read it. It is short, and there’s always more to learn about the underlying themes, which are built upon teachings of both Hindu and Buddhist texts. I re-read it at least once a year. Govinda said: “We have learned much, Siddhartha. There still remains much to learn. We are not going in circles, we are going upwards. The path is a spiral; we have already climbed many steps." He did not seek reality; his goal was no on any other side. The world was beautiful when looked at in this way - without any seeking, so simple, so childlike. 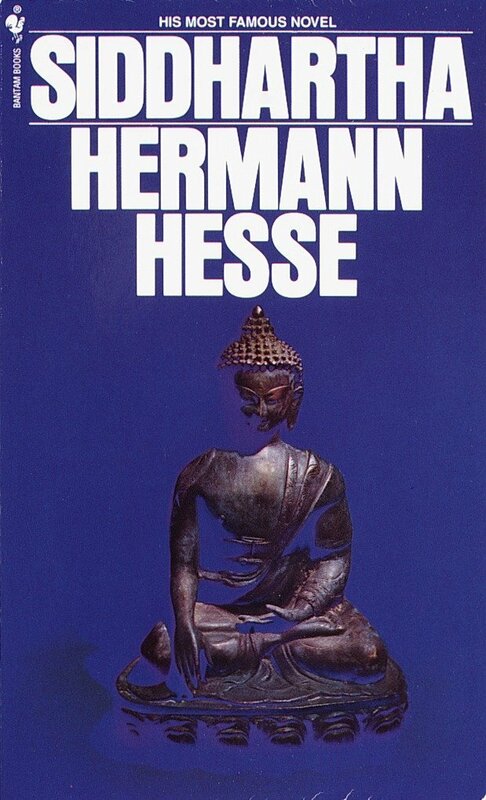 “I possess nothing,” said Siddhartha, “if that is what you mean. I am certainly without possessions, but of my own free will, so I am not in need." “I can think, I can wait, I can fast.” “Is that all?” “I think that is all.” “And of what use are they? For example, fasting, what good is that?” “It is of great value, sir. If a man has nothing to eat, fasting is the most intelligent thing he can do. If, for instance, Siddhartha had not learned to fast, he would have had to seek some kind of work today, either with you, or elsewhere, for hunger would have driven him. But as it is, Siddhartha can wait calmly. He is not impatient, he is not in need, he can ward off hunger for a long time and laugh at it. Therefore, fasting is useful, sir." “Writing is good, thinking is better. Cleverness is good, patience is better." "He always seems to be playing at business, it never makes much impression on him, it never masters him, he never fears failure, he is never worried about a loss." He visited the beautiful Kamala regularly, learned the art of love in which, more than anything else, giving and taking become one. The world had caught him; pleasure, covetousness, idleness, and finally also that vice that he had always despised and scorned as the most foolish - acquisitiveness. Property, possessions and riches had also finally trapped him. They were no longer a game and a toy; they had become a chain and a burden. Siddhartha said: “It is the same with me as it is with you, my friend. I am not going anywhere. I am only on the way." Too much knowledge had hindered him…too much doing and striving. He had been full of arrogance; he had always been the cleverest, the most eager - always a step ahed of the others, always the learned and intellectual one, always the priest or the sage. His Self had crawled into this priesthood, into this arrogance, into this intellectuality. It was one of the ferryman’s greatest virtues that, like few people, he knew how to listen. He did not away anything with impatience and gave neither praise nor blame - he only listened. Above all, he learned from it how to listen, to listen with a still heart, with a waiting, open soul, without passion, without desire, without judgement, without opinions. I came to distrust doctrines and teachers and to turn my back on them. I am still of the same turn of mind, although I have, since that time, had many teachers. "Wisdom is not communicable. The wisdom which a wise man tries to communicate always sounds foolish." “Knowledge can be communicated, but not wisdom. One can find it, live it, be fortified by it, do wonders through it, but one cannot communicate and teach it." …in every truth the opposite is equally true. Everything that is though and expressed in words is one-sided, only half the truth; it all lacks totally, completeness, unity. But the world itself, being in and around us, is never one-sided.